Someone Should Educate this 'Expert'! 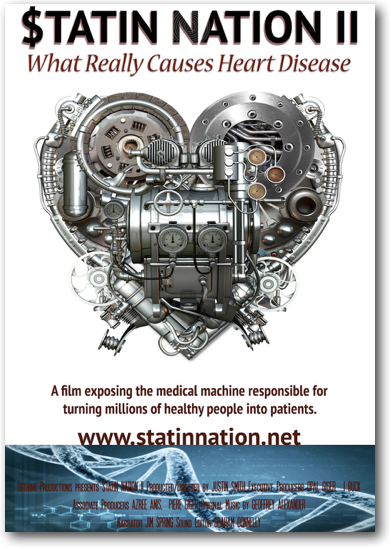 Its just a few hours until the broadcast of ABC's TV program about statins. After part one of the two-part series was shown, some of the Australian health authorities asked ABC not to broadcast the program. 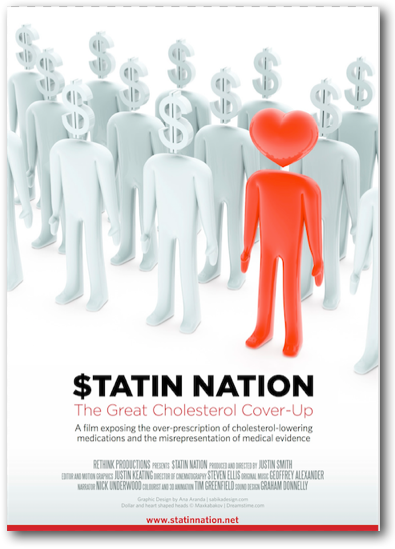 Like thousands of other people, I am hoping the program doesn't pull any punches and shows the dreadful deception behind statin medications. 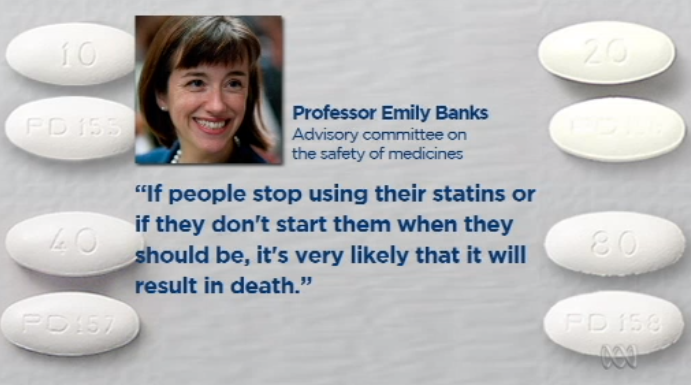 Professor Emily Banks, speaking for the Advisory Committee on the Safety of Medicines, has publicly stated that people are likely to die if they stop taking their statin as a result of the program. Those of us who follow this subject closely will instantly see the irony of an 'expert' on medicine safety supporting the use of statins. I get so tired of these 'experts' spouting absolute nonsense without any scientific evidence to back up their comments. 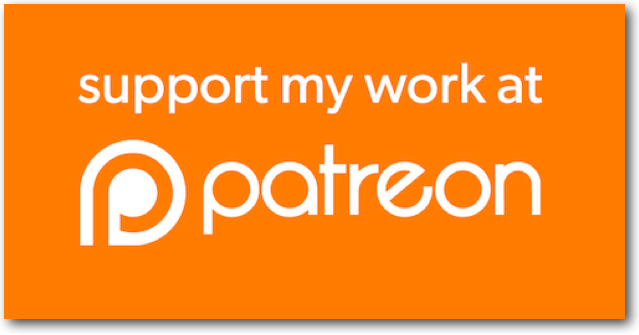 For example, Professor Banks should be pointed in the direction of this Japanese study. The researchers found that cholesterol reduction leads to an increase in total mortality. In fact, the people in the lowest cholesterol group had more than double the mortality rate of those in the highest cholesterol group. Kame C, Babazono A, Yamamoto E. Estimation of effect of lipid lowering treatment on total mortality rate and its cost-effectiveness determined by intervention study of hypercholesterolemia. Nihon Eiseigaku Zasshi. 2007 Jan;62(1):39-46. Researchers in the Netherlands also found that life expectancy increases when cholesterol levels are higher. Those with higher cholesterol levels appeared to be better protected from cancer and infection. Further evidence that higher cholesterol is protective was established by Professor Jacobs and Dr. Carlos Iribarren who followed more than 100,000 healthy individuals in the San Francisco area for fifteen years. Low cholesterol was associated with a higher rate of infectious disease. Another study, looked at cholesterol levels and death rates in more than 3500 elderly Japanese/American men over a twenty year period. The authors of this paper confirmed an increase in death rates in people with low blood cholesterol levels. The authors went on to say that not only do these results provide more evidence that low cholesterol in the elderly is associated with an increased risk of death, but they also suggest that people who have low cholesterol maintained over a twenty year period have the worst outlook for mortality.